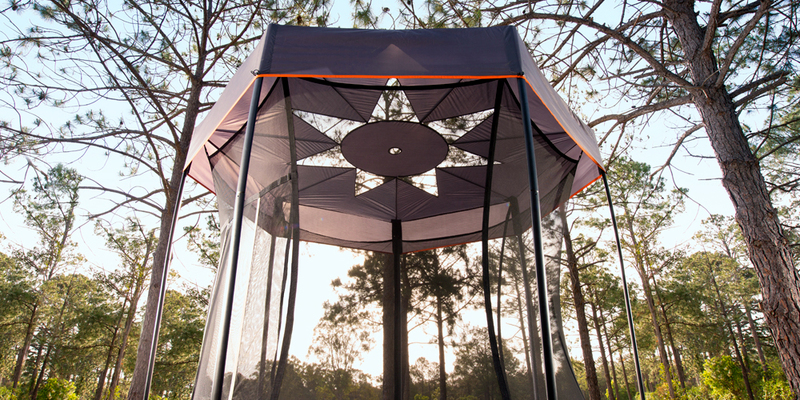 Protect the kids from the full force of the summer sun with Vuly Trampolines’ new Shade Cover on your Vuly2 or Thunder! With totally open sides, a Vuly trampoline with Shade Cover lets in all the breeze when you need it the most and permits only a fraction of the sun (when you need that the least). The new Shade Cover is an excellent complement to our existing Deluxe Tent. You can use the Shade Cover for everyday play and protection, while saving your Deluxe Tent for special camp-outs and cubby houses. It’s so simple to attach—and so UV resistant—that we know you’ll be slipping yours on and off the Vuly in your backyard for many years to come. We wanted to make our final new accessory for 2015 something that every owner of a Thunder Summer or Vuly2 would enjoy. 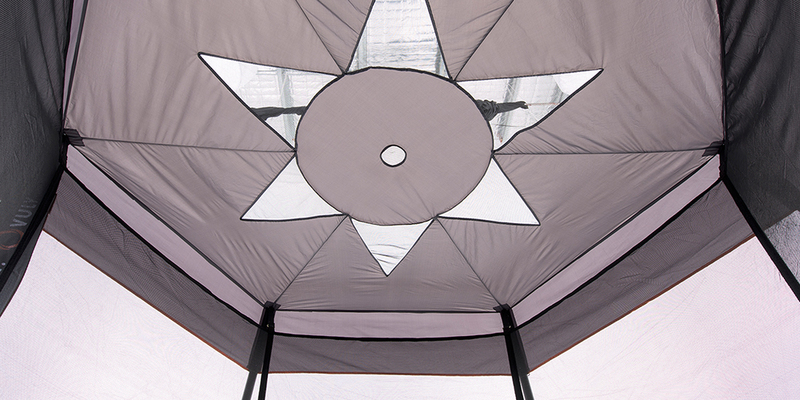 Many of you use only the roof of our Deluxe Tent to provide shade on sunny days. We’ve kept this in mind, and we’ve designed our Shade Cover for those who don’t use the full tent, but still want both protection from harmful UV rays and open sides for healthy ventilation. Our special ‘Sun’ roof adds an extra sense of openness, allowing you to still see the beautiful sky while inside your trampoline. The new Shade Covers are made to withstand the unforgiving Aussie sun. After testing them out in the hottest, windiest and rainiest weather in Brisbane—and not taken one off for months—they still look as fantastic as the day we attached them. When the sun is high, there’s almost no reason not to have your Shade Cover on! You’ll need no halo poles (and hardly any instructions). All you have to do is pull the Shade Cover’s corners over your Vuly2 or Thunder Summer’s net poles and insert the toggle at the top of each one. Sun protection on a trampoline couldn't be any easier! Vuly Shade Cover – When will it be available? Until 23 December, you can get a free Shade Cover with every Vuly Lite purchase! If you have a Thunder Summer or Vuly2, we have very limited stock available now for both (starting at $99.99 for 8 ft Vuly2), with full and healthy supply in the new year. Give our friendly staff a call on 1300 667 514 or visit our online store to get in quickly while stocks last! That’s all for our new product reveals for 2015. Did you guess what we had coming? If not, keep an eye out next year; you never know what new and exciting products we’ll have in development.